On 28 December 1972, a Yugoslavian floating dock ran into the Trece inlet during a violent storm. This dock had the capacity for ships of 3000 tons. 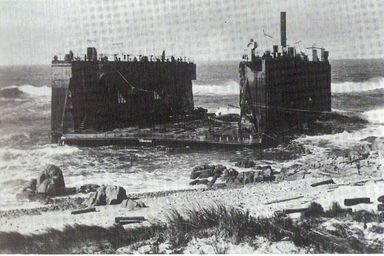 The craft was travelling from Germany to Yugoslavia, when the effects of the weather caused the cable connecting it to one of the tugs to break, making it impossible to keep it away from the coast and the rocks.